No less than two CD’s! That is what it takes when Charles Lloyd celebrates his great-grandmother. When she was 10 she was sold to a new slave-owner and when she was 14 she was pregnant. Her story is used as inspiration for Hagar Suite, which in five parts tell how the life of a child was stolen. In collaboration with piano player Jason Moren, who’s also a member of Lloyd’s quartet, the 75-year old saxophone player has created an album which demands respect. Charles Lloyd’s career has been somewhat uneven but right now he seems to be at a rewarding place. Especially the collaboration with Jason Moran has given the older saxophone player a revitalized artistic energy. When they meet in a duo like here it’s obvious what they are able to do. The suite – which is composed by Lloyd –is complimented by well-known melodies like Ellington’s Mood Indigo, Gershwin’s Bess You Is My Woman Now and Bob Dylan’s I Shall be Released (which he dedicates to Levon Helm, the drummer from The Band). As the final tune he has chosen the Brian Wilson/Beach Boys-classic God Only Knows. In the 70ies Charles Lloyd played saxophone on several Beach Boys albums. In other words, it’s Lloyd’s album; he has selected the music. Jason Moran is no silent partner, though. He is a well playing partner who brings the history of jazz to the piano. 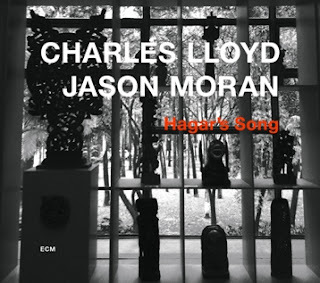 Hagar’s Song is a pleasure because of the mature playing in the ballads from Lloyd and the serene piano of Moran. Two of the greatest talents on the Danish jazz scene are crossing swords with two skilled jazz musicians from New York. 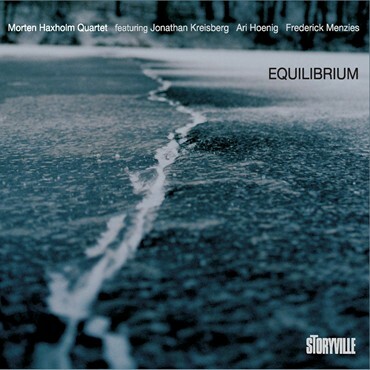 It’s bass player Morten Haxholm who is in front of the quartet. He has composed the music. So far Haxholm hasn’t drawn much attention to himself in the public. The last few years he has been occupied with his studies at the prestigious Advanced Postgraduate Diploma at Rhythmic Music Conservatory in Copenhagen. Together with saxophone player Frederick Manzies he has been in New York where he has recorded a very strong debut album with Ari Hoenig on drums and the incomparable guitarist Johathan Kreisberg. This is jazz which demands something from each musician. Haxholm has not taken the easy way out. He has done a string of compositions which doesn’t please the musicians but force them to deliver their absolute best. In the cover notes he writes about the number Cruithne, that it changes from 7/4 to 5/4 and he adds that he loves the uneven bars. For the jazz listener who doesn’t count anything when the ears are folded out this is only an interesting by-product. What I notice is how insanely well it’s working. The timing in the quartet works brilliantly. Menzies is a saxophone player who we will hear much more of in the future. He doesn’t have any problems in meeting the guitar playing of Kreisberg. Morten Haxholm is the main attraction, though. Most of the compositions – like Giacometti and Ezra – are very strong and interesting. 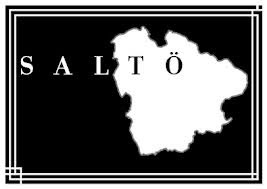 The bass playing from Haxholm is authoritative. He is the captain of the ship. It’s an impressive debut album. He starts out with jazz smelling of New York – not only in style but in talent and charisma as well.